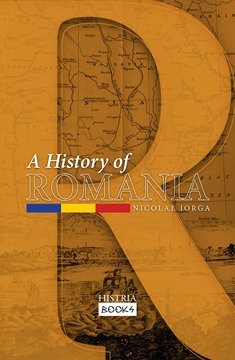 This is the first book in English to present a comprehensive portrait of the situation faced by Romania during the years of the first world conflict. 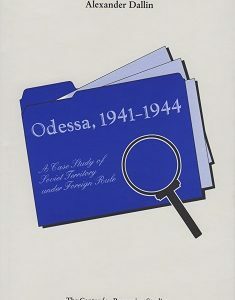 It is a collection of studies covering all aspects of Romania’s role in the war, from the years of neutrality up to the consolidation of Greater Romania in 1919, representing a lifetime of work by the leading American specialist on Romania in World War I, Dr. Glenn Torrey. 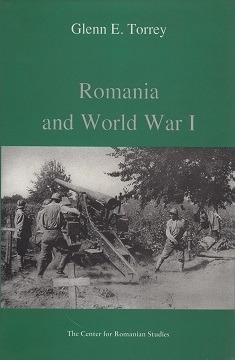 The volume provides an excellent overall presentation of Romania’s situation during the war, something lacking up to now. The topics covered include: Romania and the Belligerents, 1914-1916; Irredentism and Diplomacy: The Central Powers and Romania, August-November 1914; The Romanian-Italian Agreement of 23 September 1914; Romania’s Decision to Intervene: Bratianu and the Entente, June-July 1916; Some Observations on the Sarrail Offensive at Salonika, August 1916; Romania’s Entry into the First World War: The Problem of Strategy; The Entente and the Romanian Campaign of 1916; The Romanian Campaign of 1916: Its Impact on the Belligerents; The Diplomatic Career of Charles J. Vopicka in Romania, 1913-1920; Romania in the First World War: The Years of Engagement, 1916-1918; Indifference and Mistrust: Russian-Romanian Collaboration in the Campaign of 1916; Russia, Romania, and France: The Reorganization of the Romanian Front, 1916-1917; The Redemption of an Army: The Romanian Campaign of 1917; Romania Leaves the War: The Decision to Sign an Armistice, December 1917; The Ending of Hostilities on the Romanian Front: The Armistice Negotiations at Focsani, December 7-9, 1917; Romania, France, and Bessarabia, 1917-1918; Alexandru Marghiloman of Romania: A War Leader; General Henri Berthelot and the Army of the Danube, 1918-1919; and The Romanian Intervention in Hungary, 1919. Glenn Torrey is professor emeritus of history at Emporia State University in Kansas, USA. He is one of the most widely respected specialists on early twentieth century Romanian history in the United States. 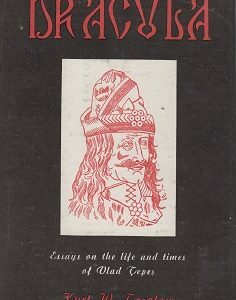 In addition to his numerous articles, he has published books and monographs including The Revolutionary Russian Army and Romania, 1917 and General Henri Berthelot and Romania, 1916-1919: Mémoires et Correspondance, 1916-1919. 392 p. ; 23 cm.